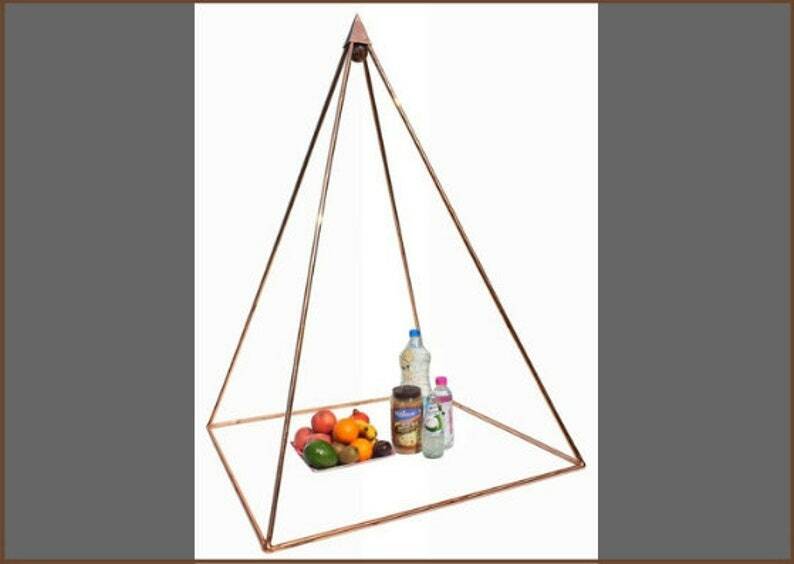 8 copper 1/2 inch pipes which as been cut to fit and make the complete pyramid as this pyramid is exact replica of the Great pyramid at Nubian with very precise 72.83° slope angles which as been used TIG copper welding for connectors and capstone. To make the connectors we used laser pipe computerised cutting machines to make those precise calculate 72.83° slope angles. The main pipes, connectors and capstone is then grind-ed, buffing, polished so the it won’t tarnish in time and the original copper colour will remain for very long time. This complete pyramid set will be send in 2 different packages the connector, capstone pyramid, crystal will be send in a small box and the main 8 copper pipes is send from a PVC pipe with end caps on the both side each. Shipment will be sent through FedEx priority services within 2-3 business days. It arrived so quick!! And looks amazing. Thank you so much.